Melbourne soul trio Cookin’ On 3 Burners has the number one song in France today with ‘This Girl’. Ron Wood has said that The Rolling Stones have already recorded eleven new songs for a new album. 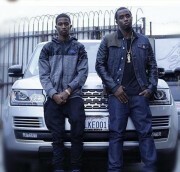 Puff Daddy’s latest signing to Bad Boy is his youngest song Christian Combs. Aviva Maloney, a member of the Monkees' backup band for over twenty years, has sued Micky Dolenz, Peter Tork, Warner Music and others for being wrongly fired. Tom Sheehan first saw the young Paul Weller on stage with The Jam at the Finsbury Park Rainbow in May 1977. Unfortunately, on this day he didn’t take any pictures of the relative newcomers, as he was there to shoot the headliners, The Clash. If you thought Redfoo’s disastrous 144 sales debut was ridiculous last week well then this week it gets even worse. The man who handed out the critiques on Australia’s The X Factor sold just 51 copies of his ‘Party Rock Mansion’ in week two. Kesha has revealed she was offered freedom from her Sony contract if she agreed to lie about her alleged abuse at the hands of mentor and producer Dr. Luke. Paul Simon has posted a message on Facebook calling the Disturbed version of his song "Wonderful". 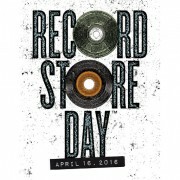 ARIA Hall of Famer Chris Stockley will perform for Record Store Day at Essendon CDs Records and Books on April 16. 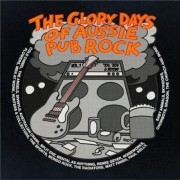 Warner Music’s epic 4CD ‘The Glory Days of Aussie Pub Rock Vol 1’ has 14 songs that have never before been on CD. Tom Jones has been forced to cancel six dates in the far east and one in Abu Dhabi due to what is being called a "serious family illness". A little early April present for Beatles fans and streamers, alike. 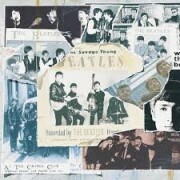 All three volumes of The Beatles' Anthology have been placed on all streaming services worldwide. Cyndi Lauper has released the official video for the track Funnel of Love from her upcoming country album Detour. Former Rolling Stones guitarist Mick Taylor has slammed the Rolling Stones for not inviting him to the opening of their Exhibitionism exhibition in London this week. 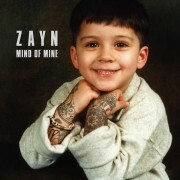 The debut album for former One Direction member Zayn (Malik) entitled “Mind of Mine” enters at the top of the ARIA Albums Chart this week, just over one year since he first announced his departure from the former five-piece (late March 2015). Disturbed have the most downloaded song on iTunes at the moment with their version of Simon & Garfunkel’s ‘The Sound of Silence’ but they have also covered Tears For Fears, Genesis, Faith No More and U2. Danish act Lukas Graham has returned a follow-up to ‘7 Years’ with a new song is ‘Happy Home’. David Bowie's widow Iman's mother has died, just two months after the music legend. Duran Duran's Simon Le Bon says we are overdue for a musical revolution. Frances Bean Cobain has compared her dramatic personal life to a telenovela after disturbing an intruder in her home. The Rolling Stones were banned from performing outside a London gallery to celebrate the opening of their exhibition.